The growing trend toward wide open office spaces might be hurting workplace relationships. That's the finding of Shal Khazanchi, professor of management at RIT’s Saunders College of Business. 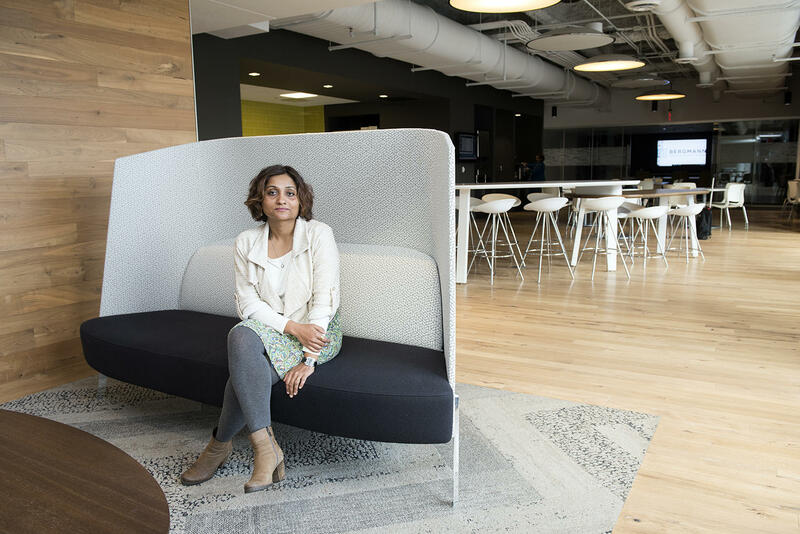 Khazanchi studies how workplace design affects things like productivity and relationships among employees. She says there are some benefits to work spaces without walls in between. They can foster problem solving and collaboration among workers. On the other hand, the lack of privacy limits confidential conversations which can impede closer relationships and trust among employees because they feel like they’re in a fishbowl. "When you're always sitting in that low-privacy environment,” Khazanchi explained, “your guard is always up and it depletes cognitive resources because you're always trying to manage impressions. That puts you in a very self-oriented way; your focus becomes self as opposed to others and that is important for relationships or close interpersonal ties." Employers may embrace open office layouts with the idea that they will cut costs and foster collaboration and productivity. Researchers from Quinnipiac University, the University of Cincinnati, and the University of Hartford indicate that about 20 percent of large U.S. companies have between 25 and 50 percent of their employees working in unassigned workspaces, and that percentage is expected to increase. According to a 2015 report in Forbes cited by Khanzanchi, the average amount of workspace per employee will be 150 square feet by 2020, compared to 400 square feet in 1985. Khazanchi recommends that employers do offer some open work space, but also give their workers other options when they want more isolation. "You have to also provide employees with private and enclosed space to work with,” she said. “That allows them to do, not only do the focus work, but also to build some social, closer interpersonal ties that are important for their well-being." In a 2017 Gallup poll, 41 percent of employees said they would switch jobs to have a personal workspace.